John West served his state and nation well as a soldier during World War II, as a member of the South Carolina Senate, as Lieutenant Governor, as Governor, and as United States Ambassador to Saudi Arabia during the administration of President Jimmy Carter. 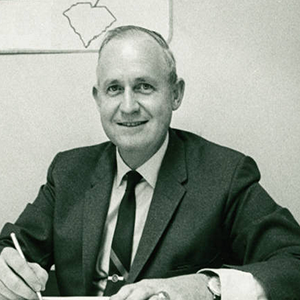 Returning from Saudi Arabia, West practiced law, lectured on government and the Middle East at the University of South Carolina, and engaged in a number of philanthropic enterprises. His public service was characterized by thoughtful and progressive activism. The selection of documents digitized here encompass the entirety of West’s life and career, including legislative and executive work in South Carolina, documents from his diplomatic tenure, speeches, photographs, and personal reflections in correspondence, memoirs, and diaries.